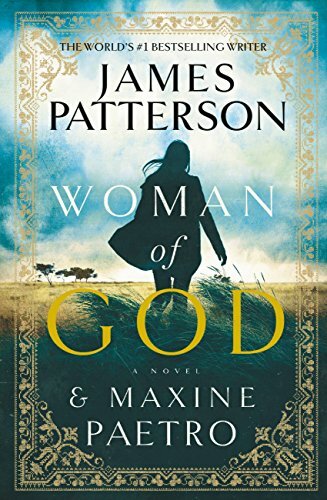 Woman of God by James Patterson and Maxine Paetro – Books, Books and More Books! Maxine Paetro is one of my favorite co-authors for James Patterson. Our story begins twenty years prior to the story, a short beginning with everyone waiting in the square to see the smoke when a new Pope is announced. We follow Brigid from the dangerous Sudan, where she and her fellow doctors do their best to patch up the wounded flocking to their compound, to Rome, and all over the globe. Surrounded by factions that are killing any and everyone. When Brigid is injured and sent home to heal, she has no idea what to do. Her faith is questioned at every turn and at one point she turns away from the church. A story of faith, struggles, and how the Catholic Church is moving forward into unfamiliar territory. As usual, there are the those on the fringes who are going to advocate violence rather than change the church and Brigid must let her faith in God be her guiding light into the future of the church and in her own tortured life. How does one keep the faith when all the things you hold dearest are continually being taken away? How much loss is one woman capable of enduring? Will Brigid find her purpose and is that purpose being the next Pope? You will have to read it and see! I was very happy to see this at my local library when it came in. My favorite JP books are the ones with Ms. Paetro. The writing flows nicely and there is a female presence that is obvious in the book.